Does Red Cap Cat Vote Republican or Democrat? 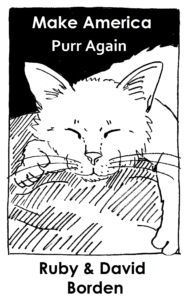 Charlie Cat, with the help from the father/daughter team of David and Ruby Borden, has written a charming book for anyone looking for comfort in these troubled times. 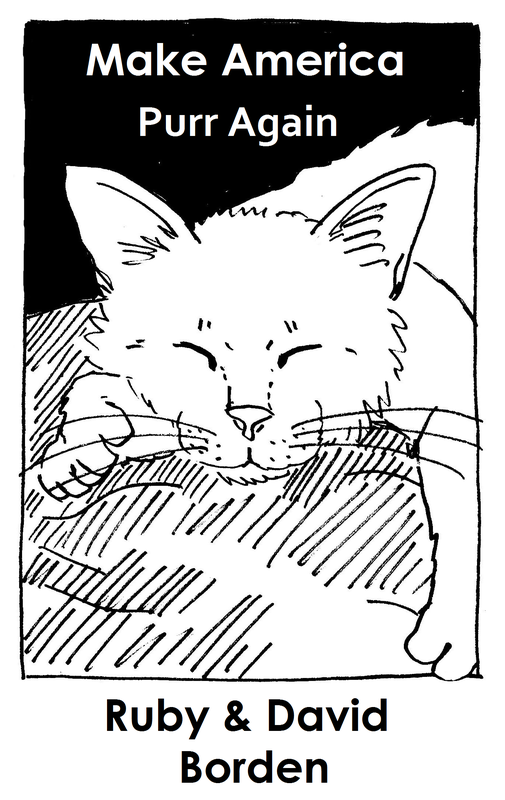 Charlie outlines seven cat behaviors that would help us all get along better if we humans put them into practice. Lovingly illustrated by David and Ruby, this book will make you smile and feel better about the world. Buy the book from ScribbleFire and get five PURR stickers. Stickers proudly printed in Austin, Texas by Bumperactive. 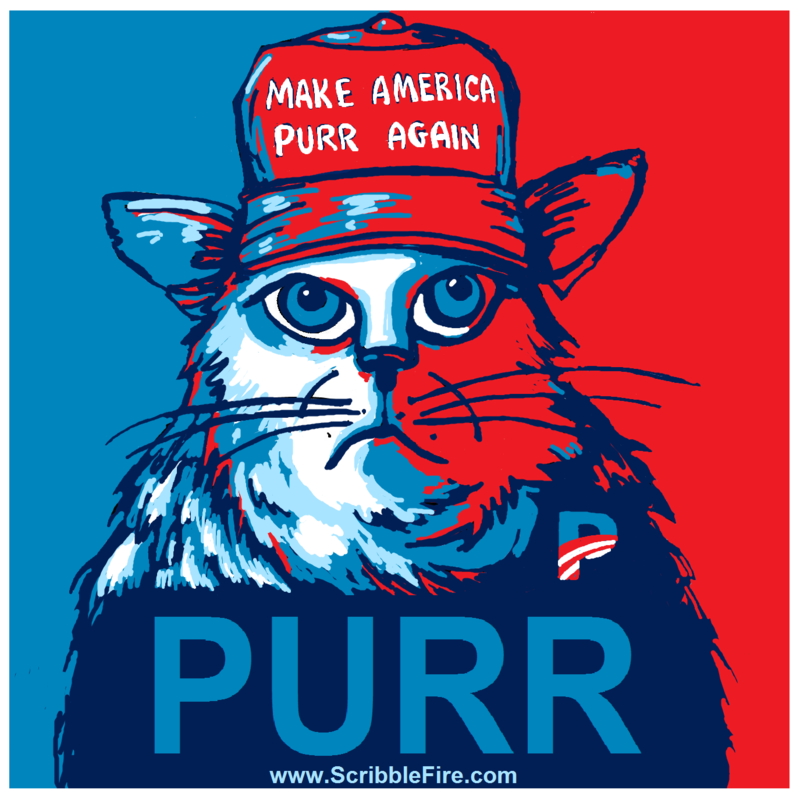 Make America Purr Again is printed in the USA.